If you’re a construction supervisor who has heard this, you might have thought to yourself, Sure. And driving in the rain would be much safer if the roads weren’t wet. All construction projects have their share of risks and unexpected hurdles. That’s why the best construction supervisors can foresee, avoid, and/or mitigate risks. Misplaced or missing documentation. Per Murphy’s law, the single document, rendering, or compliance form that you’re looking for always seems to be hard to locate when needed. That’s why a comprehensive filing and organization system (preferably an indexable, searchable digital one) is imperative. Unclear plans or directions. For various reasons, it may be difficult or impossible to ascertain the meaning of a directive or the details of a drawing or spec sheet. If possible, always have contact info for the sources of all materials. Gigantic project teams. Every stakeholder, supplier, and contractor likely has its own team on the project (who in turn might have subcontractors of their own). To avoid becoming overwhelmed, you must rely on a project management CRM platform where tasks and communications can be recorded and tracked. Unexpected change orders. These have the potential to derail even the best-laid construction plans. So have a step-by-step system in place to handle any change order that comes across your desk. Massive documentation. Once anything is completed on a project, it must be thoroughly documented immediately in a centralized database. This helps prevent post-project lawsuits based on disputed assertions. External issues. Labor strikes, supply shortages, equipment unavailability, inclement weather, and site accidents can all knock a project off-schedule. Try to plan for as many of these contingencies as possible. How Do You Handle These Risks? 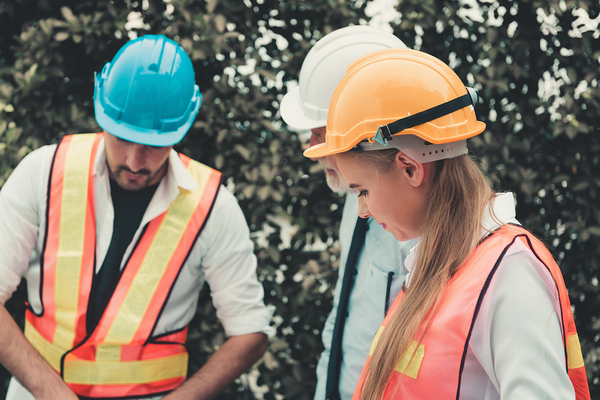 Though every construction project is different, construction supervisors must go through the same basic process to address the potential risks they are likely to encounter. Identify the risks. Brainstorm with project team members to highlight the conceivable risks on that specific project. Don’t try to find solutions during these meetings; instead, just document the scenarios that could harm the project. Assess the risks. Next, take the list of possible risks and assess the likelihood of them occurring. Rank each risk on a low-to-high probability scale and put the risks with the highest odds of coming to pass at the top of the list. Avoid the risks. If you feel that a risk is too dicey to take, then consider transferring it to another stakeholder or team member who is better suited to handle it. If necessary, walk away from that aspect of the project entirely. Mitigate the risks. Once you’ve compiled a list of non-avoidable risks, address each one and break it down into distinct actionable tasks to mitigate it. Be sure not to overcommit resources to more than one risk. Accept the risks. This should only be reserved for the risks which carry low probabilities of happening and/or would produce a nominal impact on the project. But don’t accept any risk without serious forethought and consideration. 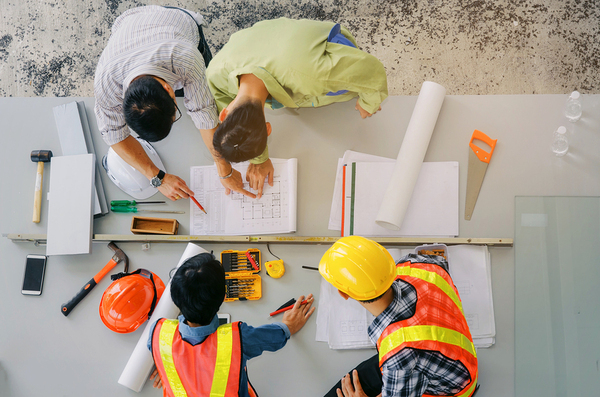 Everybody with a construction supervisor license earns their money based on the ability to keep a project on-time and on-budget no matter what comes their way. But the sooner that all project risks can be identified and then mitigated or avoided by construction supervisors, the better the odds are of them shepherding a (relatively) smooth and uneventful project to completion. Think you are suited for a career as a construction supervisor? Take our Construction Supervisor License classes for free. PreviousPrevious post:How to Maintain Productivity and Safety on the Job SiteNextNext post:What Are Some Best Practices for Renting Construction Equipment?